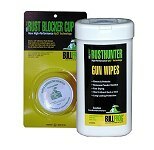 BullFrog® RustHunter Gun Wipes are the easiest way to protect your gun after a day out hunting or shooting. The best time to clean and protect your firearms is immediately after they are brought in after use. 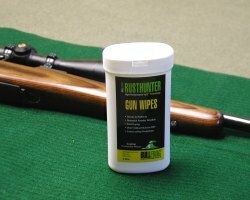 The RustHunter Gun Wipes are easy to keep handy to provide immediate protection to your valuable and rust prone firearms. 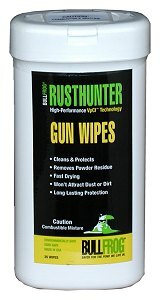 To use, simply pull a clean Gun Wipe from the container and wipe down the metal parts of your firearm, it’s that easy.